The Best Pumpkin Pie Recipe ! 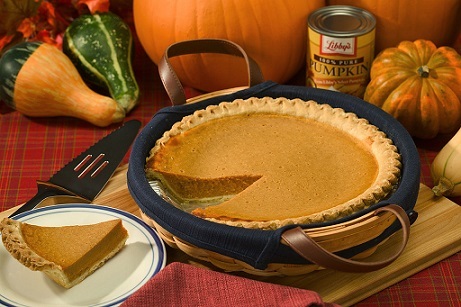 The basic Pumpkin Pie Recipe has been on LIBBY'S® canned pumpkin labels since 1950! This pumpkin pie is easy to prepare and even easier to enjoy. Just mix, pour and bake for a delicious homemade tradition. 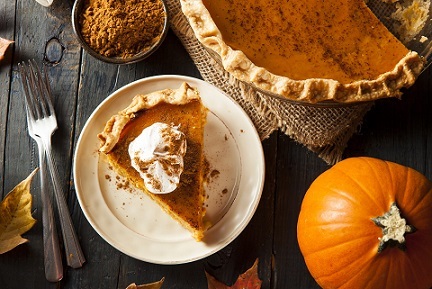 For many Americans, this IS the “go-to” pumpkin pie recipe. It's without a doubt considered to be the best! This pumpkin pie is Libby’s recipe with one change. I use dark brown sugar. The restaurant guests love it! Note: The pumpkin is actually native to the continent of North America with evidence dating it between 7000 and 5500 BC in Mexico. 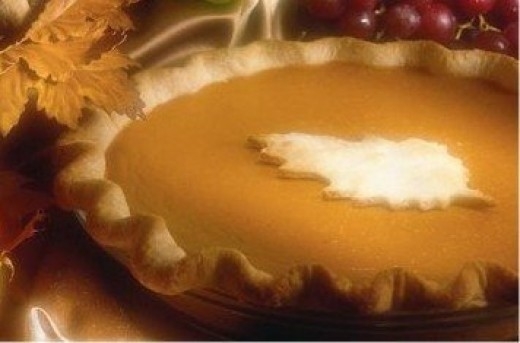 The traditional method for preparing a pumpkin pie involves the use of a "pie pumpkin" which is about six to eight inches in diameter. The pumpkin is sliced in half, and the seeds removed. The two halves are then heated until soft. The pulp is scooped out and pureed (in a blender in today’s world). The blended and cooked pulp is then mixed with eggs, evaporated and/or sweetened condensed milk, sugar, nutmeg, and other spices (e.g., ginger, cinnamon, cloves, allspice, mace), then baked in a pie shell. 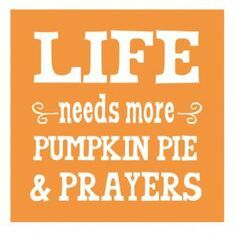 Enjoy your pumpkin pie recipe and the company of those you share it with. Did you know? The world's largest pumpkin pie was made in New Bremen, Ohio, at the New Bremen Pumpkinfest. It was made on September 25, 2010, and consisted of 1,212 pounds of canned pumpkin, 109 gallons of evaporated milk, 2,796 eggs, 7 pounds of salt, 14.5 pounds of cinnamon, and 525 pounds of sugar. The final pie weighed 3,699 pounds and measured 20 feet in diameter.